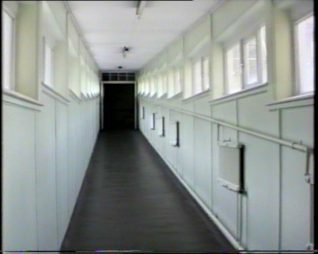 These photographs show the link between Brighton General Hospital D and E Block; there was a corridor to C Block but I think it has been taken down. You can see the outside of the corridors at another page on this site showing E2 and D2. Some nurses at the hospital who were working on night duty, reported that they had seen a figure in a grey dress standing at the top end of the corridor on E Block. They reported that the figure vanished as they went up the corridor. Many of the nurses were fearful of encountering this ghostly apparition, and so were not comfortable using the corridor unaccompanied. A similar ghostly figure was said to have been seen at the ‘cot end’ of C block; this was the ward for young patients and babies. 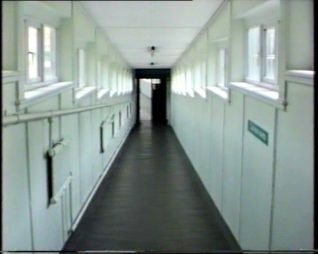 The ‘cot end’ was near the end stairs, and many nurses would not use these. Fearing a meeting with the ghostly ‘grey lady’ they refused to use the stairs unaccompanied. 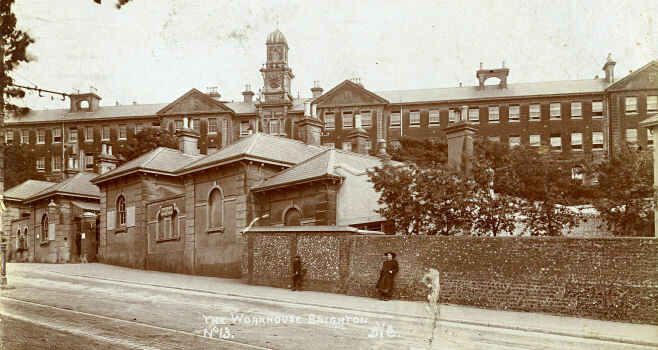 Sightings of the apparition have been reported since the building was Brighton Workhouse. At that time, husbands and wives were separated and their youngsters were also taken away from them. It has been suggested that the ‘grey lady’ was a ghostly mother trying to find her baby. I remember this sloping corridor which seemed so long when I was a kid in the 50s visiting my mum who was in the hospital for an operation. We got a number 44 bus from Arundel Road to the hospital with my dad. There was a waiting room if I remember rightly just inside the main entrance to the hospital where we kids waited until my dad came and said it was OK to see mum.